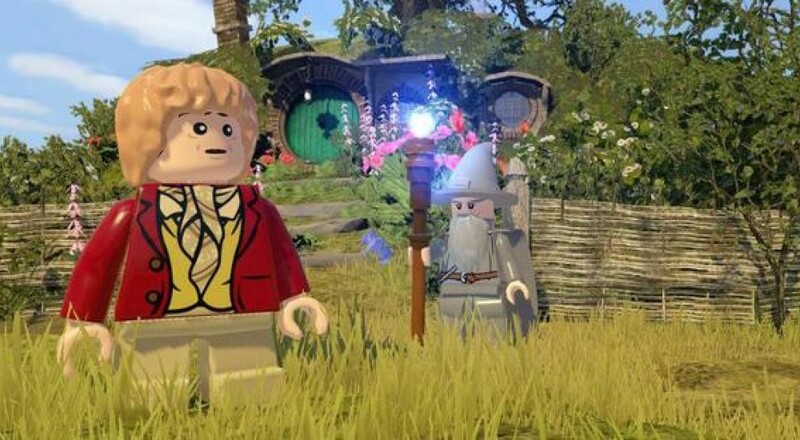 Just in time for the release of the second film in the series, LEGO The Hobbit finally has a trailer. The full game won't see the light of day until next Spring, but they want you to go ahead and get pumped for their upcoming title. If you've seen the first movie (or the second one, I guess) you'll recognize some scenes recreated with syrupy-sweet Lego charm. Shocker: It looks a whole lot like a Lego game. Check it out. Do I really need to explain what this game is? It's a Lego game, people. You and a friend run around as characters from The Hobbit, getting your appendages torn off with no consequences whatsoever. Each character has a unique power to help traverse the various obstacles in a comedic retelling of the film's narrative. So, this is coming out with the second movie, huh? I wonder what they're gonna do for the third. Is the game just going to end where the second film does, only to get a sequel containing the plot of the final movie? Maybe those folks at Lego know more than they're letting on. Whenever there is a popular film franchise, there are Legos. Those teeny bricks wriggle their way into everything from Harry Potter to Star Wars and everywhere in between. Now we need to encourage Lego to invade other properties. Perhaps small, plastic figures whose arms, legs and heads fly off with incredibly regularity are the proper medium to finally convey the smoldering romance of the Twilight Saga. Page created in 0.3324 seconds.